“Teens are among the savviest people using social media, and whether it comes to civic engagement, activism, or their thoughts on a new movie, they want to be heard. So, starting today, people aged 13 through 17 will also have the choice to post publicly on Facebook. If you’re a parent, you may be wary of allowing strangers to access your kids through social media. If that’s the case, it’s time to check your own settings as well. Adult Facebook users already have the ability to write public posts and share their profiles with other users. While many understand the potential physical dangers associated with oversharing—including kidnapping and robbery—fewer grasp the intangible danger of identity theft. It’s easy to adopt a why-should-I-care attitude about social media. As part of our mainstream culture, we don’t want to imagine it as a potential threat. But consider this: William claims to only socialize with family and close friends on Facebook, so he isn’t worried about posting personal information. While he may take steps to keep his friend list in the “trustworthy” zone, not everyone uses the same level of caution. For example, suppose his niece logs into Facebook using her smartphone and then allows an acquaintance to browse her friends list—including William’s page. Without realizing it, William’s info is now available to the eyes of a stranger. This brings me to the main point: What does it take to become an identity thief? What are their skills? Are they computer hackers or teenage friends of your niece? While you may like to think of them as high-tech geniuses, it doesn’t take much to invite a case of fraud. Consider the following pieces of information needed for the average credit card application. How many of these are present on your Facebook page? If you recognize more than two, it’s time to get serious about data privacy. Use the suggested fixes to keep your information safe. 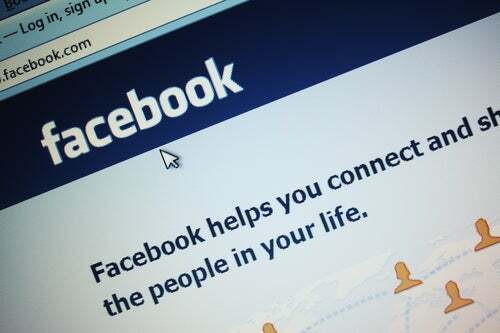 Fix: It’s all right to list your name on Facebook, but stay away from nicknames, your mother’s maiden name, and any other personal details that could harm you in the hands of an identity thief. Fix: Your birthday is October 4, but do friends need to know the year, time and location? Keep it simple: month and day only. Fix: Don’t post your phone number on Facebook. Your real-life friends already have it. Fix: Facebook comes equipped with a messaging feature, allowing your friends to contact you without knowing your external email address. If someone needs it, let them ask for it. Fix: We’ve covered the dangers of providing your SSN too often, and it should never make its way to your Facebook profile. When it comes to your identity, keep your SSN off limits. Fix: It’s okay to mention that you live in Salt Lake City, but don’t pinpoint your physical location. Burglars and identity thieves would love to know your street address and ZIP code. Don’t put yourself in danger. Fix: Use some common sense here. You may attend the University of Washington, but you don’t need to list your major, minor and graduating year. Similarly, it’s okay to tell friends where you work, but don’t get too specific about your job duties. Fix: No one likes a show-off, and an identity thief will only use this information against you. Keep your professional life off the internet. When it comes to social media and security, the keyword is “brevity.” Before posting, ask yourself if the message is more important than your personal safety. The answer is likely to change your online presence for the better.